In the profundities of the Brazilian jungle it does survive the old Greek pictorial culture? 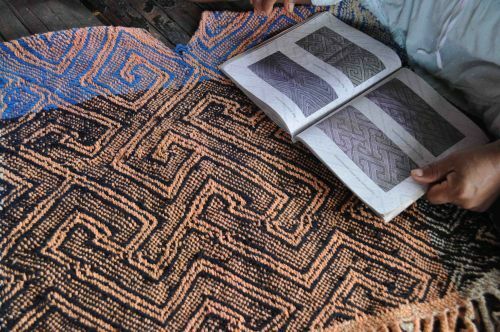 In the boundaries of Brazil an indigenous tribe exist that has for millenarian tradition the production of objects and woven with the patterns shown in the pictures. I am speaking about the Kêne culture. 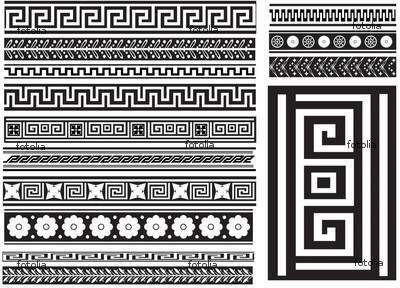 The last picture indicates that the patterns of the Kêne culture are a lot similar to the Greek ornamental patterns. They exist two ways to explain these similarities basically. The Greek ornamental patterns, somehow, arrived to the north area of Brazil as the South American continent was originally colonized by human beings there are more than 18 thousand years. This necessarily implicates the presumption that, in some moment in a very distant past, the natives' ancestors and of the Greeks they had contact or they shared the same pictorial culture. Another explanation is that the Greek patterns and Kêne patterns had developed in an independent way and they present similarities because the human beings have same psychic characteristics and very similar abilities. In this case, same when they belong to very distant cultures in the space and in the time, the men produce similar or identical pictorial patterns without any need of contact.